Player 1 passes to player 2 and then sprints to get a pass back on the run. Player 1 now makes a dribble move and makes a layup or a pull up jump shot on the block. 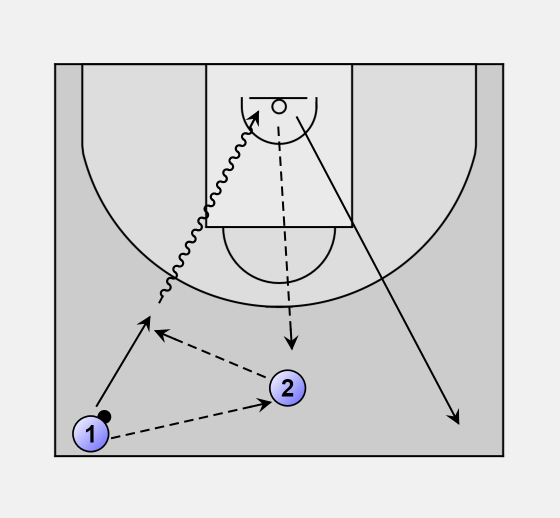 Player rebounds his own shot and passes back to player two and repeats the drill from the other side of the court. Player must make a target number of baskets. Player 1 can mix up their dribble moves and shots (e.g. reverse layup, power layup, catch and shoot).